The Mature Mouse™️ strongly recommends consulting a certified Disney travel agent before booking a free dining package to insure the best value. Explore a room and ticket package offer that includes a dining plan at select Disney Resort hotels—valid for arrivals most nights from August 20 to December 23, 2018 when you book by July 7, 2018. Why stay at a Walt Disney Resort? One of the questions The Mature Mouse™ is often asked is: Why stay on property when hotels off property can be cheaper? 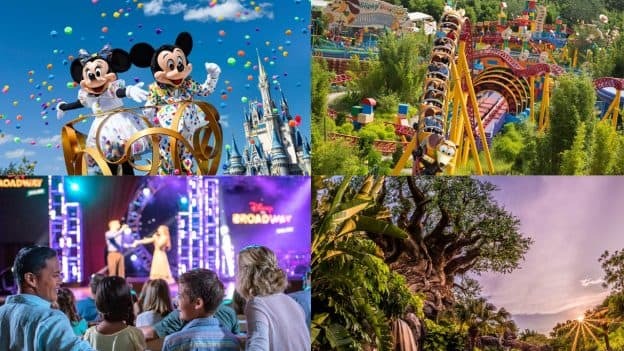 Although the cost of your non-Disney room can be less expensive, there are other costs and conveniences that you need to consider. Here are two videos that focus on the benefits of staying at a Walt Disney World resort. The first one is from Touring Plans, and other video is from Disney Parks. Let me know what you think in the comments section. Do you always stay on property, or do you prefer off property? The Mature Mouse™ is excited about this news. You will now be able to use Mobile Ordering through the My Disney app and apply it to our Disney Dining Plan. Use the following link to read the full article on the Disney Parks Blog.